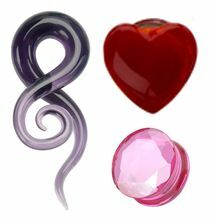 Ear Stretching has become a fast growing trend, and the demand for ear stretching jewelry is much higher. 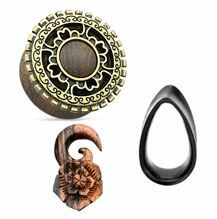 We carry a wide variety of ear gauges and tapers to keep up with the demand, and to keep your stretched lobes in the best and most unique ear gauges. 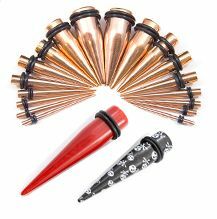 BodyJewelry.com carries a wide variety of ear plugs and ear stretching jewelry to begin stretching your ears, or to make your ears even bigger. If you're looking for a natural way to stretch, we carry all-natural wood ear plugs that are sure to delight. 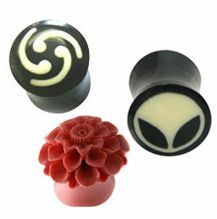 If you're looking for a unique plug, we carry a large selection of natural stone ear plugs. 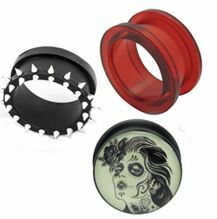 Our stone ear gauges are made from the highest quality materials possible; these plugs look amazing, and will be sure to stand out. We carry stone ear plugs made from agate, jasper, and quartz that will add an earthly touch to your stretched ears. 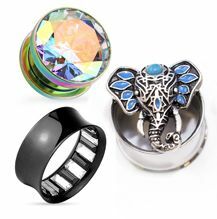 We also carry tapers and other ear stretching jewelry, in the finest and highest quality materials. 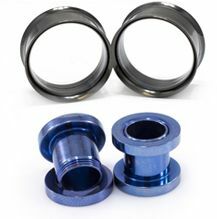 Whether you're new to ear lobe stretching, or just looking for a new pair of ear gauges, BodyJewelry.com has what you need.